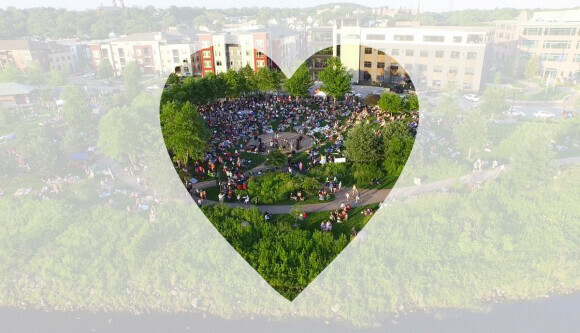 Do Locals Leave Eau Claire to Find Love? Indeed They Do. Recently, the Star Tribune ran an essay from local UW-Eau Claire English professor Katie Vagnino entitled, Lonely in Eau Claire: Why I started commuting to Minneapolis for romance. The essay details the quest of a local 33-year-old serial monogamist who had hoped to find a soulmate “hiding in the cornfields of bucolic western Wisconsin,” but ... hasn’t. Don’t get me wrong, there are things I enjoy about Wisconsin — who wouldn’t like paying $450 for a one-bedroom apartment? But the culture took some getting used to. Sports fandom or even fanaticism was pretty much a given, as was outdoors enthusiasm. Camping, fishing and hunting appeared to be the activities for which most of these men sought companionship. Given my proclivity for urban creature comforts and fear of firearms, I figured it was time to test the wisdom of Paula Abdul and see if opposites really did attract. As far as the sports and hunting stuff – fair enough. You’ll definitely get more of that around here than in places like New York or Boston – the writer’s ol’ stompin’ grounds. Obviously, Vagnino has found herself un-attracted to her locally based “opposites.” She was looking forward to meeting men “less neurotic and less metrosexual” than what she was used to on the East Coast. And while this is apparently what she’s found, she’s also discovered very little common ground. So, I wouldn’t take it too personally, men of Chippewa Valley. She’s just not that into you. I will say this, however. Having grown up in Eau Claire, and having attended school at the very same University by which Vagnino is employed, the “football lovin’ cornfield dweller who loves to shoot guns” is not the stereotypical man I’ve encountered. There are many of these guys, and they are often great fellas, but I can’t imagine they represent an overwhelming majority of the local dating pool. I think plenty of local men own cats, listen to NPR, and like watching BBC shows on Netflix. That said, I’m straight, married, and not trying to find such a man, so I have no idea where they hang out en masse. Vagnino has far more experience here. I may very well be wrong. At the end of the day I just really want my neighbors to be happy in both love and life, so I want to believe this area is home to the kind of guy Vagnino wouldn’t mind serial monog-ing. Perhaps local guys searching for ladies into “Russian literature, sushi, Etta James, and pinot noir,” as Vagnino is, just don’t do a lot of online dating? I don’t know. We spend a lot of time talking about local culture, local development, and the local art/music/writing scenes, but the area’s dating and relationship scene is a pretty important part of the Chippewa Valley Puzzle. Pointing out our low diversity in the dating pool is not necessarily an insult, but it’s absolutely not something we’d paint on the “Welcome to Eau Claire” sign. Ultimately, Vagnino is not alone in this, and she brings up some pretty valid observations worthy of our discussion. So please ... discuss.